Knee surgery can be a very intimidating thing. In fact, any type of surgery can be scary. There are so many questions surrounding surgical intervention that it can be very overwhelming. What are they going to do to myknee? How long is the rehab? These, and so many more will be going through your head when your physcian tells you that surgery is necessary. Many of these questions should be answered by your physician. Unfortunately, visits with the orthopedic surgeon often last about 5 minutes, and you are left with lots and lots of questions. I treat surgical patients every day in my clinic. Their first visit often involves a non-stop question and answer conversation with me. They want to know about the things they are feeling, what was done inside their knee, what we are going to do to make things better, and so many more. I hear the very same questions from so many people. While I cannot erase your worries about the surgery, I can answer many of the common questions that you will have. Hopefully, this will help set your mind at ease, and help with your recovery. 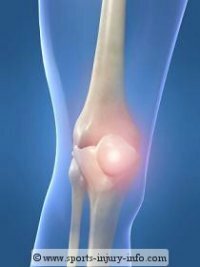 I have included on this page links to more information on different types of knee surgery. If you cannot find what you are looking for, please feel free to get in touch with me using the contact form. Please remember that the information I have provided is general surgery information, and may be different from what your physcian provides you. I highly recommend that you ask your physicain any specific questions you have, as every doctor has slightly different guidelines for their surgical procedures and rehabilitation. Acl reconstruction is considered a major surgery. It involves reconstruction of the anterior cruciate ligament, and extensive rehabilitation. Knee arthroscopy is considered a minor knee surgery, and can be used to treat many conditions within the joint. It is minimally invasive, and the rehabilitation time varies depending on what was actually done inside the knee. Meniscectomy, or removal of a torn meniscus. Learn more about this very common arthroscopic procedure. Meniscus repair involves using sutures or tacks to repair the meniscus. Learn more about this knee scope procedure. This surgery is used to treat lateral patellar tilt and patella femoral compression syndrome.